Bob Woods, the longtime UTA mechanical engineering professor and Formula SAE advisor, is the first recipient of an endowed chair established in his honor in 2017 through a gift from Paul E. Andrews Jr., an entrepreneur and businessman. The Dr. Bob Woods Distinguished Chair in Automotive Engineering Endowed by Paul E. Andrews Jr. promotes research, innovation and development of best practices in the general areas of automotive engineering and design, mechanical engineering, and the FSAE racing team. SAE is the Society of Automotive Engineers. Andrews founded TTI Inc. in 1971. The Fort Worth-based company celebrated its 45th anniversary in 2016 as the world's leading authorized distributor of passive, connector, electromechanical and discrete components for industrial, military, aerospace and consumer electronics manufacturers. TTI acquired Texas-based Mouser Electronics in 2000 and Andrews sold majority ownership of the company to Berkshire Hathaway in 2006. Andrews has enthusiastically supported the FSAE racing team since he first met Bob Woods through a mutual friend and has been an avid car aficionado for most of his life. 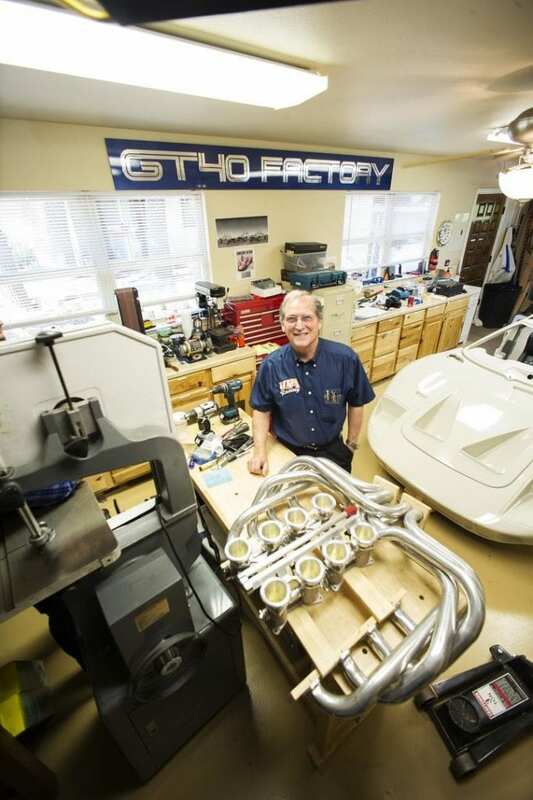 His love for cars and automotive engineering is what initially drew him to UTA's racing team, but it was Woods' character and leadership that inspired him to give. "Bob has always encouraged innovation and ingenuity," said Andrews upon establishing his gift. "And his teams have shown great ability to be on the leading edge of technology and use it to their advantage on the track and upon their entry into industry after graduation. UTA's Formula SAE team is the gold standard of collegiate racing, and Bob Woods has been the heart and soul of the program for more than 30 years. I am happy to recognize him by endowing a chair in his honor." Woods, who joined UTA's College of Engineering in 1974, founded the student racing program in 1978. The team has since won six championships in Mini Baja, eight championships in the United States and international titles in England, Japan and Australia. At one point, the team earned a No. 1 ranking in the United States and climbed as high as No. 5 in the world. UTA Racing travelled to England last summer to compete in the Formula Student competition at the legendary Silverstone track. The 2018 car finished eighth out of 100 teams in the competition, which also featured an exhibition race between last year's winner, Cardiff University, and UTA's 1998 car, which won the first-ever Formula Student competition that year. The 2018 car finished fifth in this year's Formula SAE event in Lincoln, Neb., in June. Each year, participating students from across the campus design and build a formula racing car from the tires up and then race their vehicles against collegiate teams across the country and internationally. Students have come from varied disciplines across campus. Recent cars have featured active aerodynamics and advanced battery technology, including a hybrid car and a fully electric vehicle that was unveiled in 2017. A 2017 Piper Professor, Distinguished Teaching Professor, and a 2017 UT System Regents Outstanding Teaching Award recipient, Woods has garnered several honors in his time at UTA. He won the "Triple E" Award from the Society of Automotive Engineers International in 2013. The award is a singular honor given annually for Excellence in Engineering Education. Woods also received the 2006 Chancellor's Teaching Award. The award is presented annually by The University of Texas System Chancellor's Council to recognize excellence in teaching at each of the system's nine universities. Woods also worked to establish the Arnold E. Petsche Center for Automotive Engineering. The Center promotes engineering education, innovation and entrepreneurship, especially through FSAE. "It is fitting that Bob Woods is the first person to hold the Dr. Bob Woods Distinguished Chair, given his history at UTA and what he's done for FSAE not only at UTA, but nationally and internationally as well. He has willingly served as a mentor to other programs nationally, sharing knowledge and advice as they worked to establish their teams," said Peter Crouch, College of Engineering dean. "Our students have benefitted from his leadership for decades, and his encouragement to push limits, be creative and try new things has led to many technological and mechanical innovations. Bob is a fine example of what it is to be a teacher, a mentor and a leader." Erian Armanios, Mechanical and Aerospace Engineering Department chair, also underscored what Woods has meant to the program. "UTA's FSAE program, driven by Bob Woods, inspired and challenged generations of students. The program harnessed their boundless energy and helped them develop practical skills through the application of fundamental engineering principles," Armanios said. "Paul's investment in education through the Dr. Bob Woods Distinguished Chair extends his record of caring and creates his legacy of trail-blazing innovation that will light the way to an ever-better future for generations of students to come." Describing his relationship with Andrews, Woods said, "Our friend Arnold Petsche introduced me to Paul Andrews. Paul is a highly successful entrepreneur and businessman and has started, bought and developed very large international electronic corporations. He is also a true 'car guy' and amassed a very large collection of very unique and collectable cars. This interest in cars is what we share and I suspect part of his motivation to support the automotive engineering program at UTA. I am pleased and honored to have my name associated with his." Woods received a bachelor's degree in mechanical engineering from SMU and master's and doctoral degrees from Oklahoma State University. He had three years' experience in research with the government before joining the faculty at UTA. Woods has extensive consulting and industrial experience with national and international companies as well.